Between becoming a teen heartthrob in the 1990s and transforming into the big-screen star that he is today, Leonardo DiCaprio has always managed to maintain enviable tresses. His perfectly tousled look has evolved into a '50s-inspired polished style that still maintains a laid-back feel. 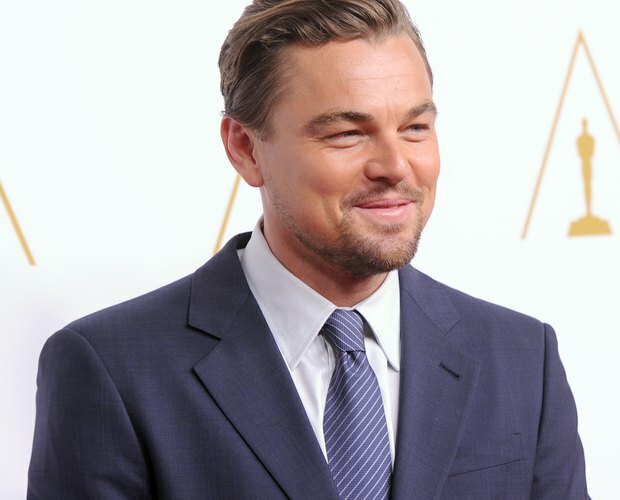 DiCaprio's hair is combed into a deep side part but given texture to avoid looking too slick. Try out Leonardo DiCaprio's signature hairstyle for your next event, or take it on as your own daily look. Wash your hair with a volumizing shampoo, massaging the product into the roots and rinsing completely. Gently squeeze the ends of your hair with a towel to remove excess moisture. Comb your hair from roots to tips with a wide-tooth comb to gently remove tangles. Allow it to air-dry until 90-percent dry. Position the tail end of a rat-tail comb at the edge of your hairline, directly above your left eye. Drag it back through your hair until you reach the crown of your head to create a deep side part. Comb your hair neatly down each side of the part to set it. Pour a quarter-sized amount of lightweight serum into your palm and rub your hands together. Pull it through 2-inch sections of your hair, starting an inch away from the root and concentrating on the ends. This will help your hair to dry in a textured fashion, while adding moisture to protect it from frizz. Allow your hair to dry completely. 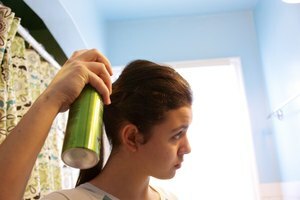 Coat a hair brush with texturizing paste and lightly brush it through your hair. Alternate between moving the brush toward and away from your face, while still keeping hair neatly parted. This will create a laid-back look while adding hold. Have your hairstylist cut hair on the sides until they are 1-inch long, and leave the section in the middle between 2 and 3 inches for best results. How to Do Hair Like Audrey Hepburn in "Breakfast at Tiffany's"